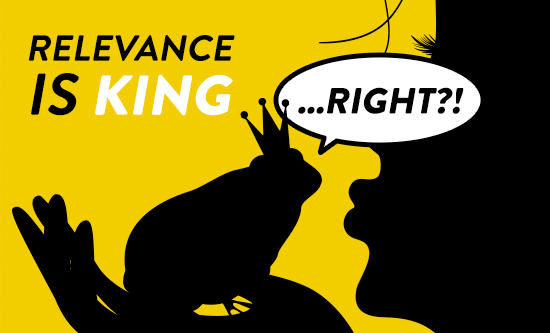 Digital Alchemy | Relevance is king…right?! So that’s the buzz right now, using AI to make every conversation relevant. But here’s the thing. Do you have enough content and offers in your library or is your clever AI engine going to be choosing the best offer or content out of a limited library that has limited relevance? In effect, is your sophisticated AI tool going to be choosing the least worst option from a range of offers and content that are really just about what you want to say? When people say to me ‘we tried using AI and the results were so-so’…the next question I ask is how good was your library of offers in the first place? AI can help you make smarter decisions but it can’t turn a frog into a prince. Really cracking the relevance nut doesn’t just require an AI engine to make choices. You need to be able to create a library of content and offers for it to choose from. Does AI have a role to play in helping you build that library? There’s no question about it.